Honesty, Integrity, and Customer Satisfaction is Our #1 Goal! ASAP Garage Door Repair expert team will meet your garage door repair needs and more the right way, the first time in a prompt manner, and at a fair price. Our staff of professional technicians is waiting to service all of your garage door requirements. We are dedicated to providing expert and top quality garage door maintenance and repair services in New Jersey. Unlike other garage door companies, we are one stop garage doors service providers and extend our services for all sorts of garage door repairs. Contact our experts for all your garage door repair services at (800) 490-0968. We stand by our words because we are a family owned business, and have established a long list of satisfied customers to back up everything we say. Our garage door technicians and installers can replace and/or install your garage door as well as make any and all necessary repairs. We provide our trusted service in whole NJ and also in some areas of New York city. 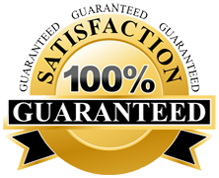 Rest assured – we guarantee 100% customer satisfaction! We provide our services in whole New Jersey and also cover some region in NY area including Union, Staten Island, Edison, Bergen, Queens and Jackson. How to Find the Best Garage Door Repair Service? Garage doors are a way to keep things within it safe from both thieves and harsh weather conditions. But like everything else, these doors too are subject to wear and tear. There are a range of garage door companies that will walk down to your garage on a call, when you need to carry out some repair or maintenance tasks. But, choosing the best garage door restoration services can be a headache if you aren’t sure how to decide on one. Are you confused which garage door service provider you should go with? If you are in need of a professional technician for such repairs, and are paerplexed with the question – which is the best garage door repair company servicing your town or city, there are a few things you can do to go about selecting one company that can really help. We are one the leading garage door repair companies in New Jersey area, thanks to a team of specialist technicians who meet varied garage repair needs. We carry out the requisite task in a prompt manner at a fair price, something that separates us from the other repair units. ASAP Garage Door Repair services Inc is ready around-the-clock to cater to all your garage door needs irrespective of how simple or complicated the job at hand is. What Kind Of Garage Door Repair Tasks Can We Help You With? We are your one-stop garage door service company, ready to serve you at any time. Whether you need to have a new door installed or you want to repair the springs or opener, locking mechanism or any other accessory of an old one, you can always rely on our garage door technicians servicing your area. Dial (800) 490-0968 today and get a free estimate for quick, reliable, quality and long lasting garage door services in New Jersey.